Welcome Back to the unofficial beginning of the season at Pelican Lakes! Our staff is very excited to begin another season here at the place that we cherish. I am very proud to have my staff in place for another year. Our experienced staff will assist you if you’re new to the game, or yearning to play competitively, or simply want to have some good old fashioned fun. We continue to try and move the bar by improving things every day. The goal with our new the point of sale system came with that in mind – to add to the member and customer experience. We believe we have finally found a solution that will add to this. The Club Prophet system will allow you to log in, make tee times, check account balances, and even pay your bill online. Part of this functionality will be offered through a new website – www. pelicanlakeswindsor .com – which will be live in only a few weeks. Member tournaments have continued to grow, and with their growth we have improved each event. Our leagues have also grown. Ladies league on Tuesday evenings is one of the largest in the area, and our Thursday night men’s league will feature 176 players each week. I’m quite certain you could drive 1,000 miles in any direction from Windsor and you won’t find a bigger men’s league. We will host 8 Couples League events this summer, so check our calendar for those dates. Each one of our events is open to any level of playing ability. If you would like to enhance your playing ability, don’t be afraid to approach Kenny Anderson, Tyson Schalock, Linda Gehringer, Doug Hammond, or myself and ask about our lessons, camps and clinics. All the kids’ programs will be listed on getgolfready.com and eventually on the new website when it comes online. We will continue to improve the Pelican Lakes experience and I am certainly open to any input or suggestion you may have. 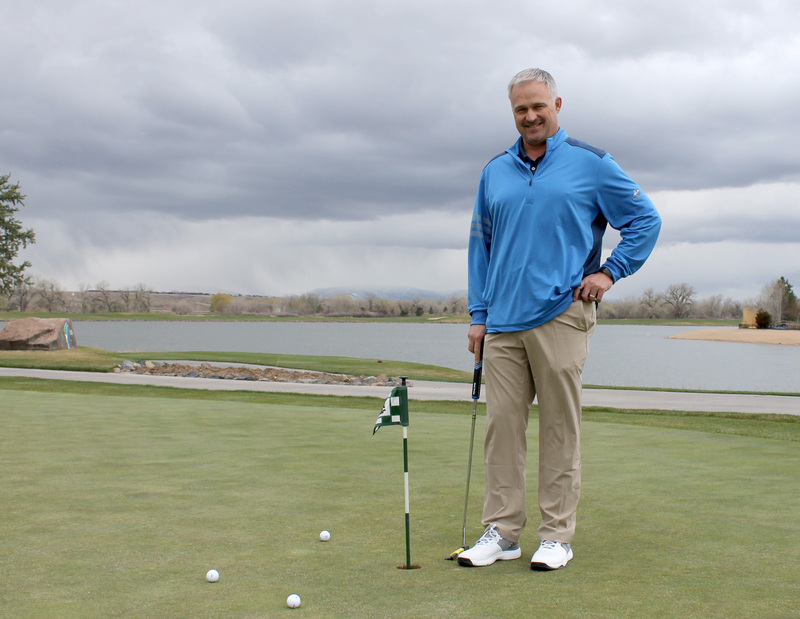 Please feel free to call me at 970-674-0930 or drop an email to stacy@pelicanlakescc.com. I personally appreciate all of (Grillhouse & Sand Bar GM) Mike Brady’s hard work in the restaurant and (Course Superintendent) Jeff Orr’s hard work on the grounds and I could not do any of the communications without (Director of Public Relations) Kurt Hinkle’s help. All of us are delighted you’ve made Pelican Lakes your place to play. Now get out there and play!